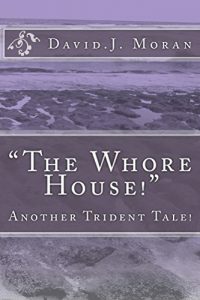 The Whore House is another novel in The Trident Tale Series by the Author, David J Moran. For those who have enjoyed these Tales, this is another entertaining story of murder, mystery and strange as well as chilling occult happenings based in English Lancashire Towns. The story is set in a house of ill-repute with some interesting residents as well as visitors of whom meet with untimely and gruesome consequences in the properties cellar. A “must read” for Adult eaters those who’s curiosity is aroused and hopefully satisfied, as the author captures your imagination, as yet another tale evolves where you will be left wondering as to the truth that lies behind it…stranger than fiction or imagination perhaps…read on decide for your self!